Last summer we told you about the Force Copper Vacuum Insulated Thermal Bottles, our version of the still-popular S’well bottles. The Force has continued to be popular with our clients, along with many other products that are promotional versions of retail products. The newest product that follows this trend is the Glacier, our version of the Yeti Rambler. 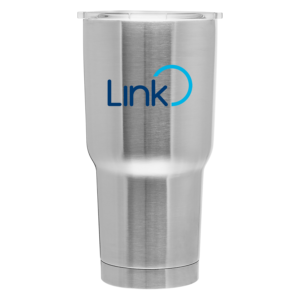 At 30oz this tumbler is huge, and will easily hold a day’s worth of coffee. It is made of double walled stainless steel with a copper vacuum, so it will keep that coffee hot all day too. Want to keep water cold instead? It does that too – for up to 16 hours. It’s the best of both worlds! With pricing as low as $14.99, the Glacier is less than half the cost of the Yeti Rambler. You can find pricing and more details about the Glacier here. If you’re looking for a great gift for your clients or staff to keep your brand top of mind this holiday season, look no further than the Glacier! It’s less expensive, comes with your logo and works just as well! Contact your Account Manager today for more information and pricing. 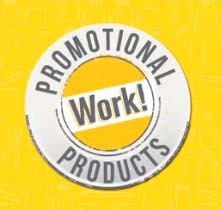 Promotional products are frequently used as ways to say thank you to very important people. They are used to recognize an employee achievement, participation in an event, or simply thank staff, volunteers, or even customers for their loyalty and support. We’ve created many promotional items over the years to serve as an appreciated “thank you” that has more staying power than a simple note. If you’re looking for unique ideas for your own organization, check out these case studies to learn how these companies thanked tennis tournament participants, employees, alumni and donors. 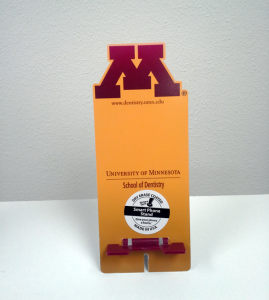 The Smartspot SmartPhone stand was the ideal promotional item for their needs. Learn more about the product and its uses on the case study page. 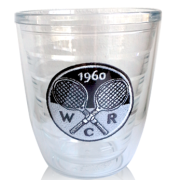 Western Racquet Club wanted to find something unique and different that tournament participants would enjoy, while staying within their budget. This unique Tervis style tumbler fit the bill. To read more about this project, including product details, click through to the case study page. 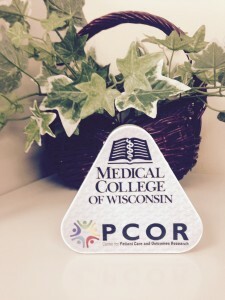 Each year the Medical College of Wisconsin Center for Patient Care and Outcomes Research hosts a year-end luncheon meeting for its faculty and staff. To demonstrate appreciation, each individual receives a gift. Our client was looking for something that was good quality, affordable, and something that would have a wide appeal to all of their faculty and staff. Michael and the account manager discovered the Pieladium Bluetooth Speaker, a fun, technology related item, which is a very popular and fast growing category of promotional items. Read more about product features, the easy buying process, and how recipients liked their gift in the case study. Each company needs to say thank you with a targeted, relevant promotional item, so contact us for additional recognition ideas. You can also browse our Idea Gallery for a few other suggestions. Summertime is the perfect time to get outside and enjoy the many community events! A community event is an opportunity to connect with an audience in a fun and exciting way. Having staff wear branded apparel and handing out a promotional item is a way to make your school memorable both during AND after the event. For these reasons, we highly recommend using your brand colors and logo across multiple items. As in the photo collage above, a tote bag is a visible canvas for your logo throughout the event. While we created that bag for the Tosa Farmer’s Market, a similar idea could be applied to any school’s presence. Whenever you’re giving people handouts, a tote bag, drawstring bag, or plastic bag with your logo on it provides a convenient, useful take-away. Another example of a school that we support for community events is the University of Wisconsin – Milwaukee. The sunglasses and paw print fans pictured in the collage above were used for the Wisconsin State Fair. 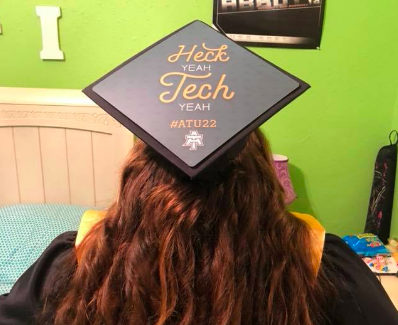 Temporary tattoos, visors in school colors, and yellow t-shirts were also used for their presence. 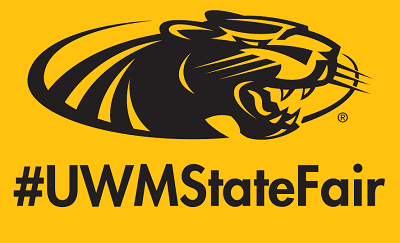 One strategy to bring the event to a wider audience is imprinting a hashtag or Twitter handle onto promotional items, just as UWM did one their t-shirt imprint last year. UWM State Fair t-shirt Imprint tied in with social media. 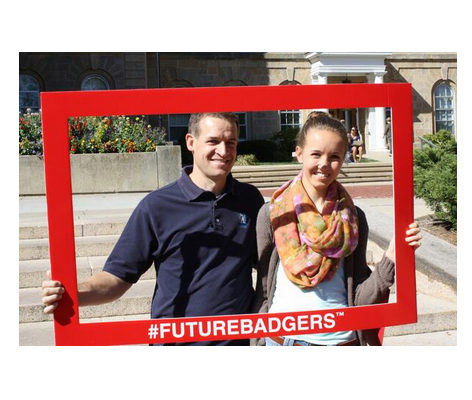 To create buzz and excitement on Twitter, The University of Wisconsin – Madison used the custom #FutureBadger frame at campus visit days and UW-Homecoming. Such frames, school mascots or fun backdrops create an eye-catching photo-opp for event attendees. Photos are then often shared on social media to increase your exposure. Photo-opp attractions are an excellent way to create an interactive display and draw a crowd! Since promotional items serve as a reminder of a brand experience, it’s important to select items that reflect your brand identity. We recommend advance planning with an experienced promotional consultant, who can discover the right ideas and share examples from other colleges and universities. We are here to support your summer event planning needs – simply contact us to get started. Happy event planning and have a great summer! Michael Wolaver shared an interesting excerpt related to promotional products from a book he was reading called The Ultimate Sales Machine: Turbocharge Your Business with Relentless Focus with 12 Key Strategies by Chet Holmes. In the chapter called “The Nitty Gritty of Getting the Best Buyers,” the author talks about specific tactics used to land dream clients. Through a multi-pronged, targeted direct mail campaign to the biggest OEM manufacturers, the sales team was able to schedule appointments with half of their top 100 dream prospects. These appointments were extremely successful with 100% testing the product and ultimately making a purchase. How did they achieve such a successful campaign? The answer is simple – great marketing helped them gain attention and stand out from competitors. First, they sent out an offer letter that promoted free education and research – something that was valued among their prospects. Follow up phone calls and role play to fine tune their script further enhanced the effectiveness of the mailing with the Rubik’s Cube. Each promotional item and message tied in with the company’s theme and overall strategy. With repetition and follow up phone calls, the company’s brand and offer resonated with their audience, leading to half of the recipients to schedule meetings. Yes, it DOES cost more when you invest in 3D mailings that include promotional items. However, such an investment to a TARGETED group of top prospects was a worthwhile expenditure because it helped open the door and ultimately make sales for the sales people who conducted follow up calls. A promotional item is much more memorable than receiving a letter alone. Who could forget receiving a Rubik’s cube after all?! As with any marketing cost, the bottom lined must be considered. In this case, if the mailers helped secure just ONE new client, which were the biggest companies the company would target, it would pay for the mailers for twenty years. The targeted direct mail campaign, follow-up calls, and appointments helped turn this company around from losing money to making $2 million dollars the following year. Investing in promotional items and unique mailings truly helped gain top prospects’ attention, build a positive brand image, and generate sales. Consistent, creative, and targeted marketing can help you gain a competitive advantage in the marketplace. For some ideas on how to enhance your direct mail efforts, read our blog post or contact us for an Idea-Storm session. A trade show is an opportunity to connect with an audience in a fun and exciting way. Handing out a promotional item is a way to make your company memorable both during AND after the show. For these reasons and many more, a trade show is one of the top uses for promotional products. You’ll find some swag at EVERY booth. The Airplane Stress Toy promotes the UWM Masters in Management program through the School of Business. The literature includes the tagline, “Your future is about to take off.” This has been a very successful campaign! There were a wide range of products at every table, though pens remained a staple item throughout the show. 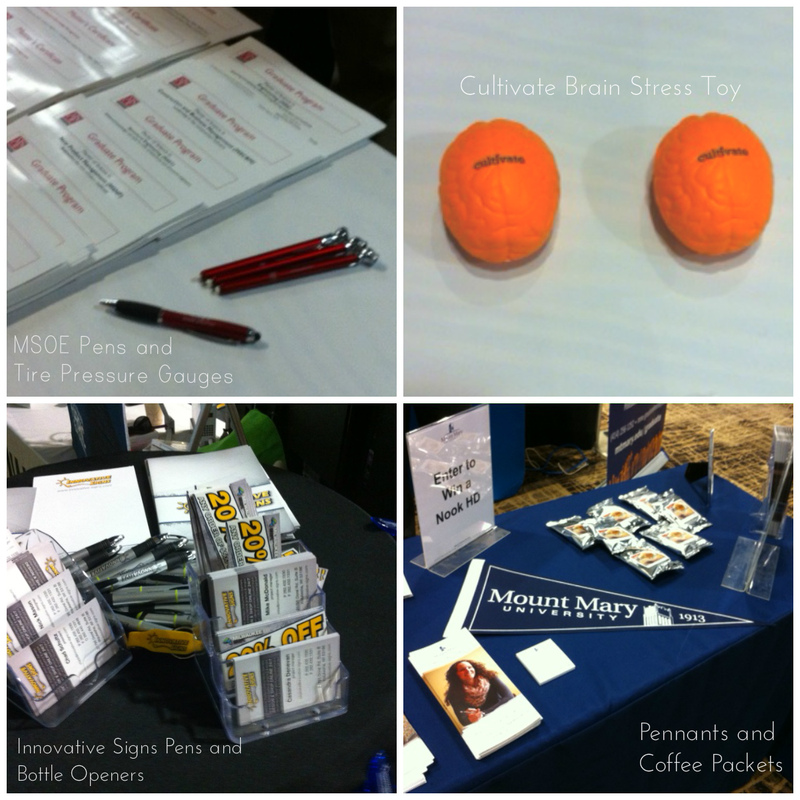 MSOE also used tire pressure gauges; Innovative Signs used bottle openers and combination pen/highlighters. Mount Mary had a lot of interest in their branded coffee packets as something that is both unique and appreciated. We also love how striking their pennants turned out. 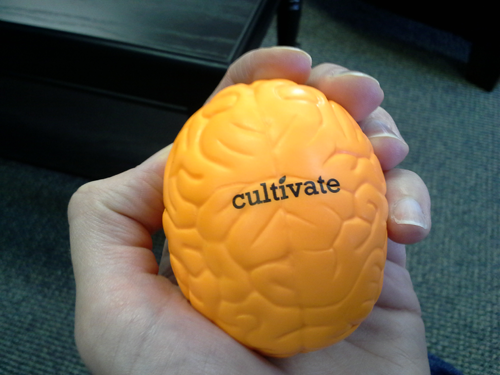 Here is a close-up of the bright orange brain stress toy that our client Cultivate Communications used. Since they are a creative marketing agency, the brain is a fun and engaging way to help tell their story. 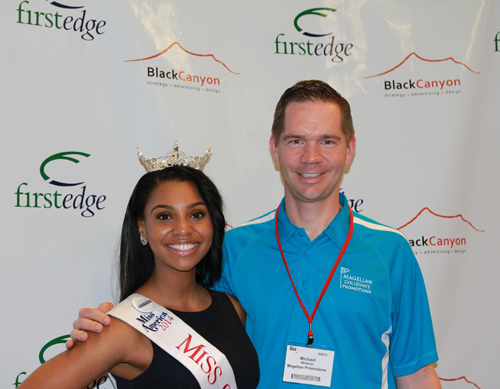 Miss Southern Wisconsin, Tyra McFarland, spotted Michael’s logo’ed polo shirt, and said, “Hey I work with you.” She was right (and another great reason to have company apparel)! Account Manager Paige Wagner worked with Tyra on creating frisbees to promote the UW-Milwaukee Student Startup Challenge. 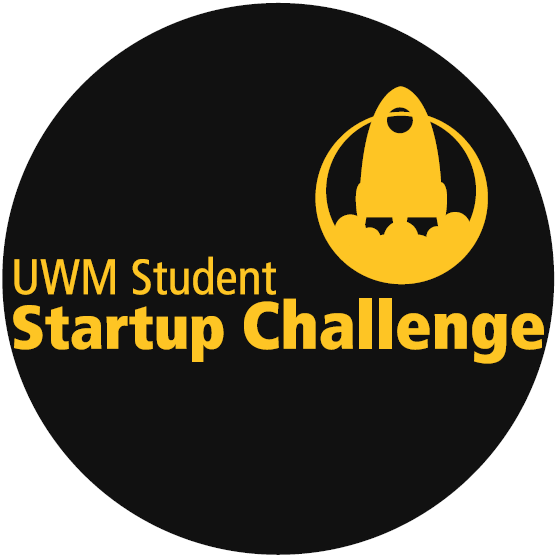 Artwork for the UWM Student Startup Challenge Frisbee for our client, Tyra McFarland, also Miss Southern Wisconsin. What are your favorite show-stopping promotional items? We’ve also heard about sending teasers pre-show to drive booth traffic, such as sending ½ of a pen and then handing out the other ½ at the booth. In addition, we like the idea of holding a drawing for a higher value promotional item, and having higher-value items for VIP’s (or hot prospects) who stop by your booth. 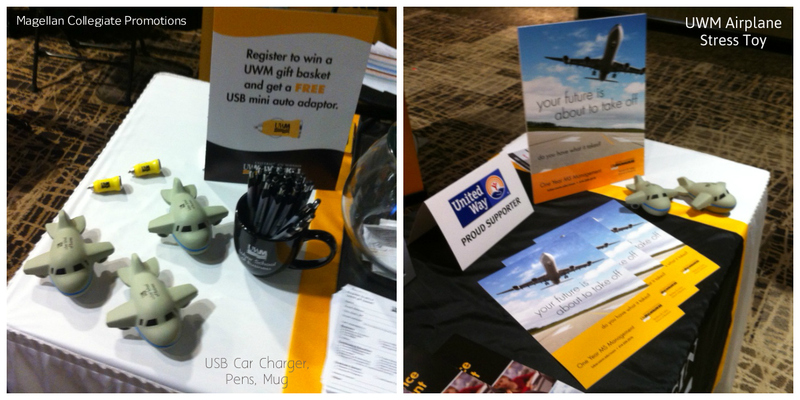 There are so many ways to effectively integrate promotional items into your events! For help discovering the right promotional idea for your events, please contact us. It’s a key component of any and every marketing plan to make your school more memorable. A common message woven through print, online, social media, TV radio, direct mail and promotional items can effectively increase exposure and the likelihood of recall. 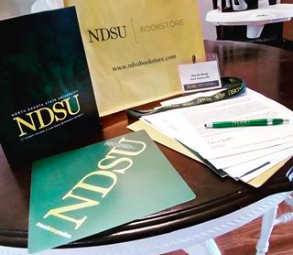 Contests: Using promotional items as a prize on Facebook contests, or using Instagram Direct Message, as described by the blog Social Media for Colleges. Custom frame: a larger, custom promotional item that begs to be photographed. Such a picture-worthy, cool promotional item deserves more attention. This custom frame with the hashtag #FutureBadgers was created for the University of Wisconsin – Madison, Admissions Office. It was used to integrate social media into campus tours, allowing prospective students show their excitement and actively endorse UW Madison to their own social networks. Learn more about the marketing goals, product details, application and results of the custom #FutureBadgers frame by visiting our case study library. 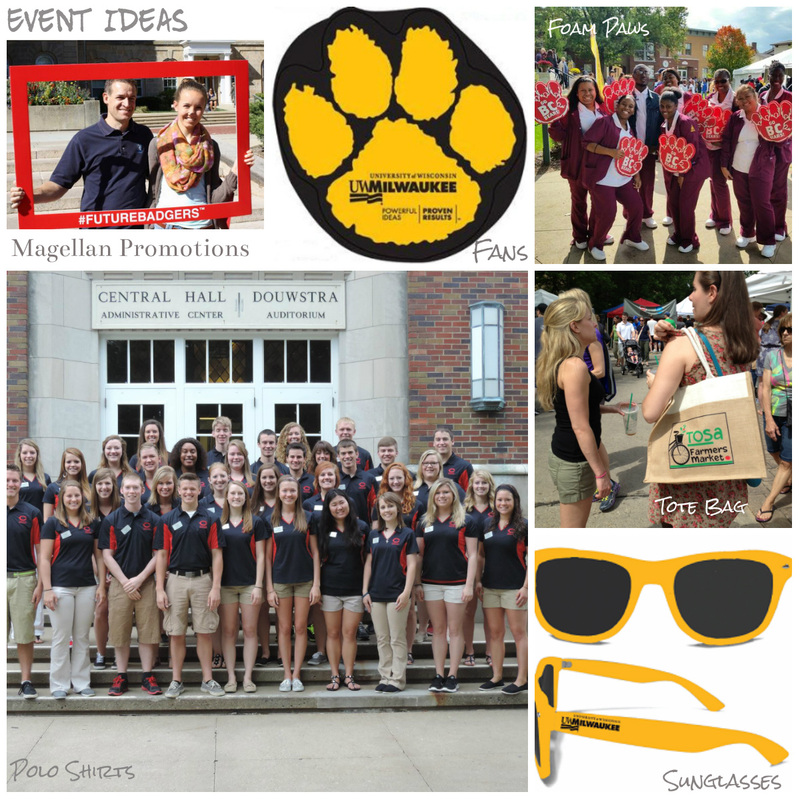 How has your school integrated promotional items into social media or other elements of the marketing mix? On Thursday, January 9, 2014 at 10:30 a.m. CST, Michael Wolaver will present a thirty minute webcast on 2013 Best Practices – Admissions Promotional Marketing. This is a free webinar. Click HERE to register. Are you looking for new and exciting promotional marketing ideas to “wow” prospective students? 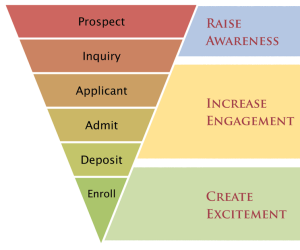 Do you want to learn what other colleges are doing with this marketing medium? Are you interested in market research to show what works? This webinar will focus on admissions departments’ use of promotional marketing, though similar product ideas and marketing tactics can also be applied across campus. 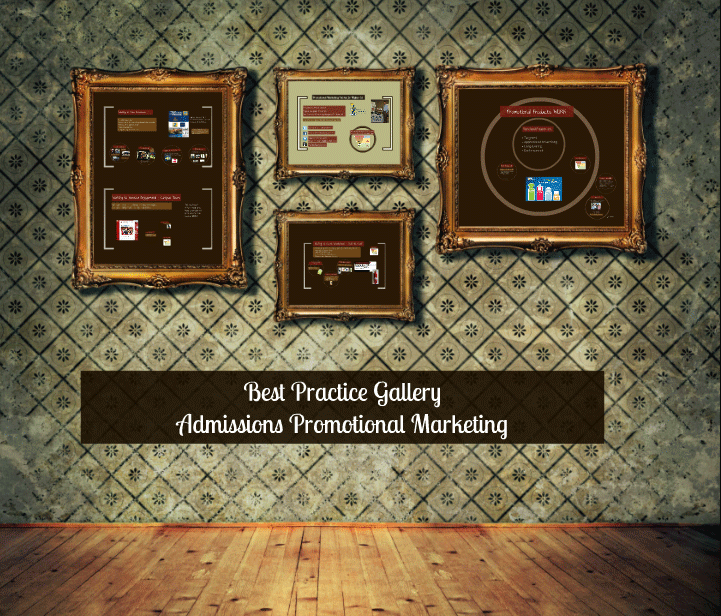 Promotional marketing industry research will be shared to illustrate the effectiveness of this advertising medium – part of a growing, $18 billion industry. This webinar addresses the main benefits of promotional items and provides a comparison to other media types. Build Excitement – help “seal the deal” through admitted student direct mail, events, targeting specific students with personalized promo items, and tying into social media efforts to build community. Michael Wolaver, owner and founder of Magellan Promotions, has over nine years marketing and branding experience in the promotional products industry. Magellan Collegiate Promotions, a division he created in 2011, has worked with over 60 schools and colleges located across the country. Prior to founding Magellan Promotions in 2005, Michael has worked in purchasing for Fortune 500 companies in the Greater Milwaukee and Chicago area. Michael earned his undergraduate degree from Marquette University and Masters of Business Administration from the University of Wisconsin-Milwaukee.